There's plenty of space to socialise at Caius. There's a Junior Common Room (JCR) just below the Hall in the Old Courts. Equipped with comfortable sofas, it's an easy central place to meet friends. The bar opposite acts as a cafe in the day and is also a good place to socialise. At our West Road freshers' campus, there's another huge common room, with doors opening out on to lovely gardens (our students often hold barbecue parties outside here in summer). 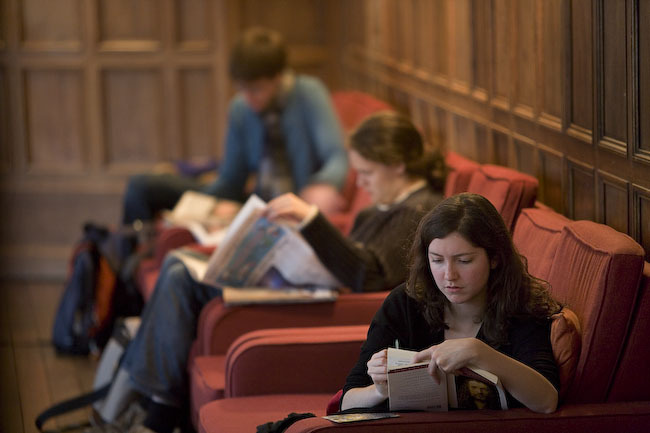 There are two graduate common rooms (MCRs) at Caius. The main one is on the College main site in Gonville Court, just opposite the College bar. The other is in our Harvey Road accommodation which has a TV room, a pool room, and board games.